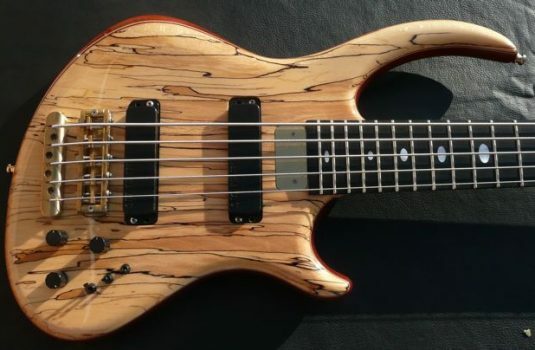 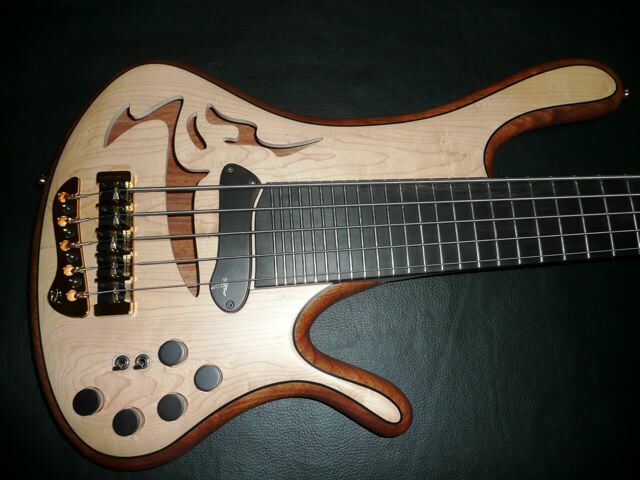 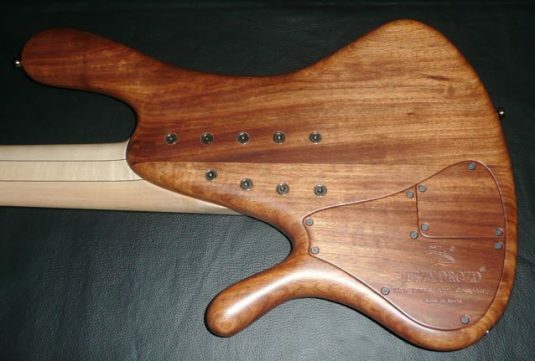 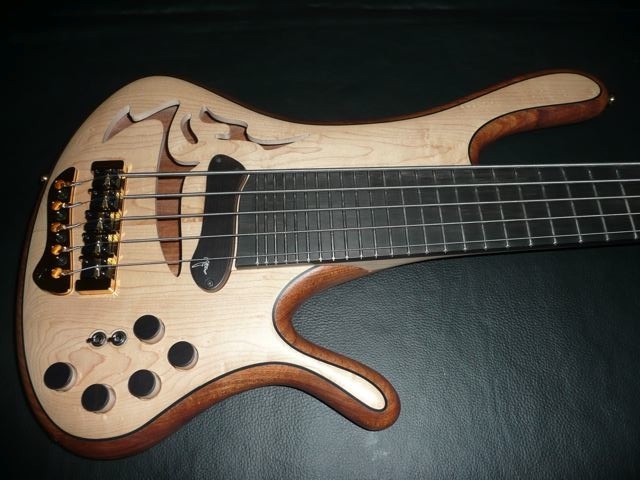 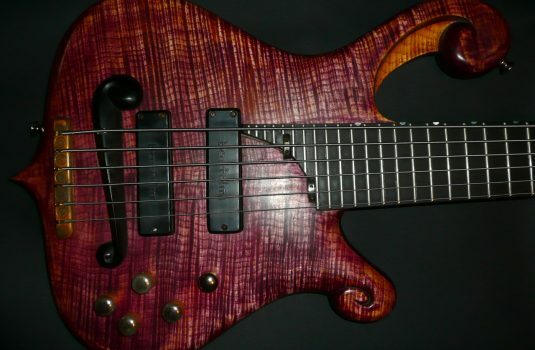 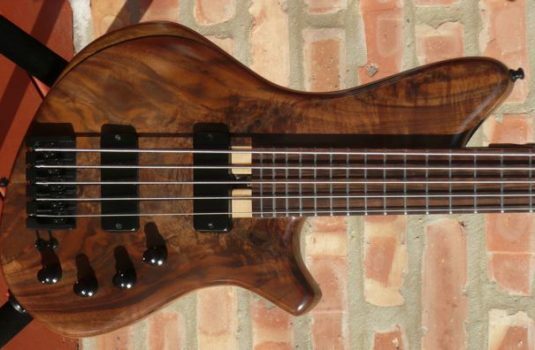 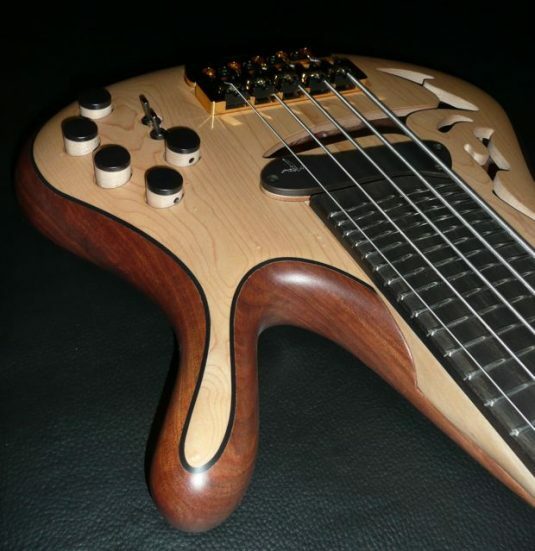 Here we have a rare fretted Legend – all of the few that I have seen have been fretless. This bass has a single magnetic pickup and an RMC piezo system. 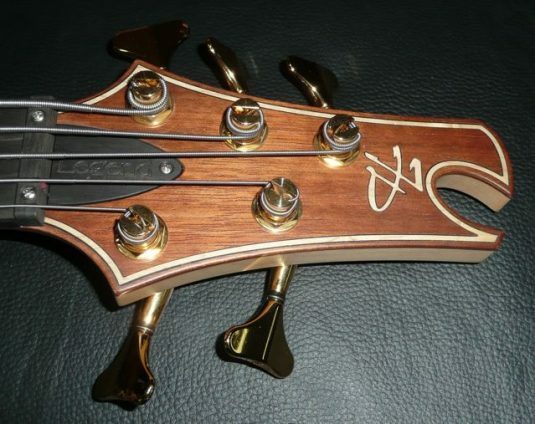 The body wood is Etimoe , with matching cavity covers and headstock overlay. 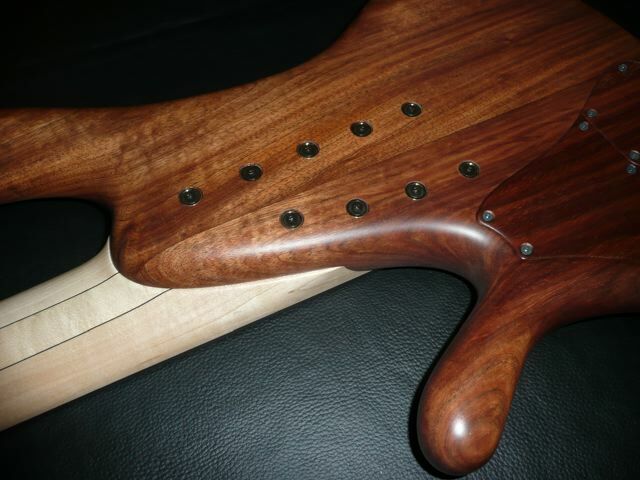 Maple neck, Ebony board. 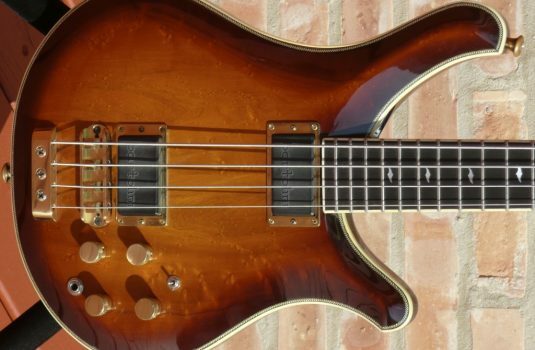 2009 list price is $7,515.